When you arrive at the airport in Madrid, your driver will help you with your luggage and take you to your Madrid hotel. Relax in your comfortable room and get ready for an amazing tour of Spain’s highlights! After breakfast at the hotel, you’ll have free time to explore the fascinating city of Madrid at your leisure. In the afternoon, you'll be picked up from your hotel for a panoramic city sightseeing tour with your knowledgeable guide. At the end of the day, enjoy a relaxing night at your hotel. 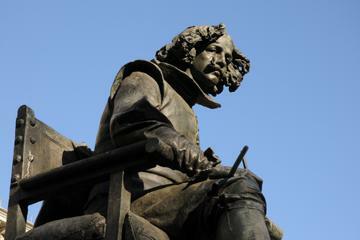 Start your third day with early morning breakfast at your hotel before taking a comfortable coach ride through the land of Don Quixote, the ‘Man from La Mancha,’ to Cordoba. 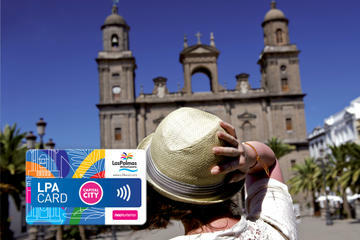 When you arrive, you’ll take a guided city tour and visit the Great Mosque of Cordoba and the historical Jewish Quarter. 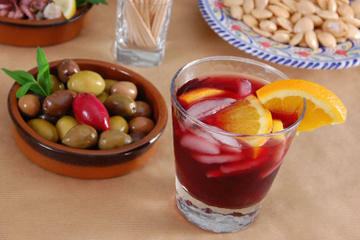 Afterward, continue your journey to Seville for dinner and an overnight stay. 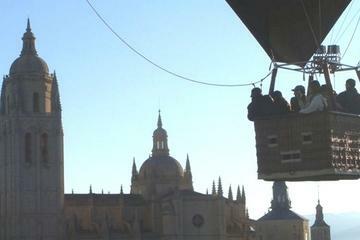 On your fourth day, enjoy breakfast and then take a tour of Seville with your guide. Marvel at the grand exterior of Seville Cathedral and explore the Santa Cruz Quarter and Maria Luisa Gardens. You’ll then have the afternoon to continue sightseeing at your leisure. Your guide can point out great locations for you to enjoy amazing views of the cityscape. At the end of the day, return to your hotel for dinner and a relaxing night’s rest. Or, you can keep the fun going with an optional flamenco tour! Head to a local venue to watch talented flamenco dancers and listen to lively music. Reflect on your time in Seville while enjoying breakfast in the morning. Then, continue your journey to Granada, where you’ll take a guided tour of UNESCO World Heritage-listed Alhambra Palace, an impressive 14th-century royal palace and fortress complex, and its Generalife Gardens, the last stronghold of the Moorish kingdom. As you tour this site with your guide, you’ll be amazed at the mix of grand architecture and natural landscape. When you head to your hotel for dinner in the evening, you’ll have the option to take a gypsy night tour to explore Granada's ‘gypsy’ neighborhood. 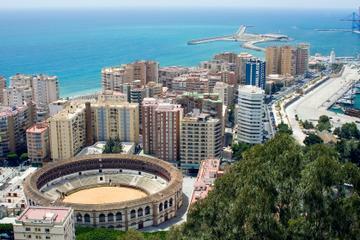 After breakfast, you’ll leave Granada for Valencia, the capital city of the province and home of internationally renowned paella (rice, meat and vegetable dish). On the way to your hotel, you’ll see some of the city’s most important sites such as the City of Arts and Sciences (Ciudad de las Artes y las Ciencias). Then, relax at your hotel and settle in for the evening. In the morning, have breakfast and then enjoy free time to discover some of Valencia’s enchanting sites and famous attractions; you also have the choice to take a guided sightseeing tour. In the early afternoon, you’ll depart for Barcelona and arrive in the evening for an overnight stay. 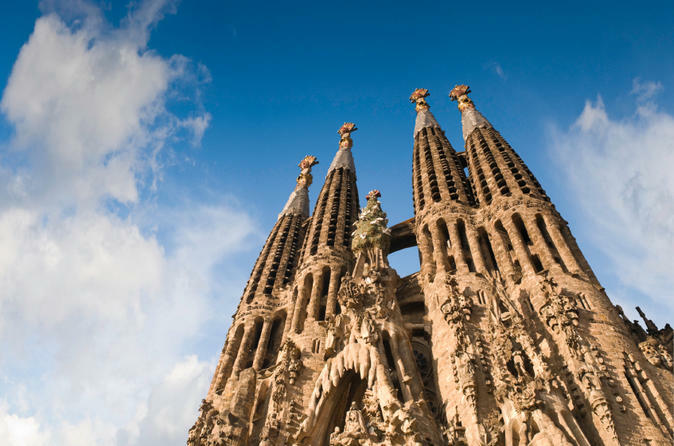 Beginning your day with breakfast, take a sightseeing tour of Barcelona and explore Park Güell, created by master architect Antoni Gaudi, and head to Montjuic to admire sweeping views of the city and the harbor. Visit Olympic Ring, see the Columbus Monument, and tour the old Gothic Quarter. Then, have the rest of the afternoon to explore more at your leisure before heading back to your hotel in the evening. Reminisce on your time in Spain over breakfast at your hotel before relaxing on the drive to the Barcelona airport. Your arrival time. 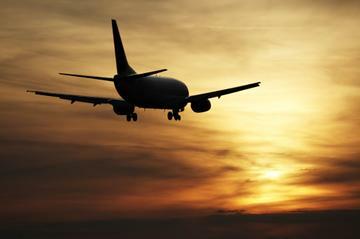 You must contact your local supplier with your flights details (contact details will be provided on your voucher. This was a wonderful trip – one I will remember forever. Our guide was wonderful, the hotels were nice, the tours were informative and interesting, and our fellow tour companions were great. Thank you for this trip. It was also a good value. Wonderful!! Hugo, our tour guide, was very informative; Felix, our bus driver, was careful yet arrived at all our destinations on time. The local tour guides were great - they highlighted the main attractions of each city, and gave suggestions on what we should go see on our own. We spent a lot of time on the bus, traveling between cities, but the scenery was beautiful and Hugo gave us historical and regional information as we drove by. One thing I'd like to suggest is that travelers be given a list of attractions that are NOT included in the tour (i.e. museums, basilicas, historical buildings). We did our own research and knew what spots we would visit on our own. However, there were travelers in the group who were clueless about what to visit when the local tours ended. Overall, I highly recommend this trip. From beginning to end, we were delighted with the service!! The tour was the integration of other excursions making things very confusing. The first tour was the Madrid circuit. The operator took us from the hotel to the city. At the end of the excursion, they left us in the city and the only way back to the hotel was asking people for directions, or by taxi. Luckily, we knew how to get back. Once we left Madrid, we assumed that our guide would be with us until the end of the tour, but it was not to be. She belonged to the Cordoba, Seville and Granada circuit. 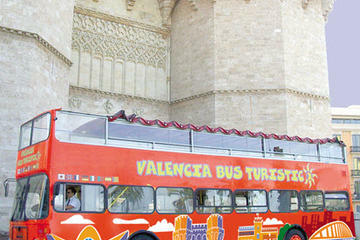 We continued on our tour to Valencia and Barcelona after we changed bus, driver and guide near Madrid. The last day of our trip, they left us at the hotel without transfer. Viator refunded the expenses incurred in hiring a taxi. Outside these mishaps, the tour is a good value for money, and the operating agency need better communication and organization. We were told as a group probably once what time to arrive and never reminded. In Barcelona, we stopped at the Plaça Catalunya (after the driver and our guide were hopelessly lost for an hour) and dropped off the tourists who had joined the tour in Barcelona on the side of the street. They were told to walk to their hotel. Although the other hotel for a few in our group (including us), were actually staying in a hotel IN the Plaça Catalunya, too, the driver had NO idea where it was and got lost again and drove in circles around the city to the other hotel for the tourist class patrons. Our guide gave no indication that we were actually lost and left everyone in the dark. The two sightseeing tours we had were with the local tour guides only, and they were great. Our bus guide was nowhere in sight - unlike Cristina, who ensured everything went smoothly and no one got lost during every local tour. 2 Stars. The communication was a little bit difficult with Julia travel before us arriving to Spain due to the hour and language difference. We tried to confirm our hotel pickups by phone multiple times, but their offices are leanly staffed so rarely is anyone on duty to ensure answering of phones. They do have local office in Madrid and Barcelona.